Ask most people that know me and they will tell you I can be sarcastic at times. Ask my wife and she will tell you that sarcasm is one of my love languages. Ask others who do not know me that well and they may mistake my sarcasm for rudeness. 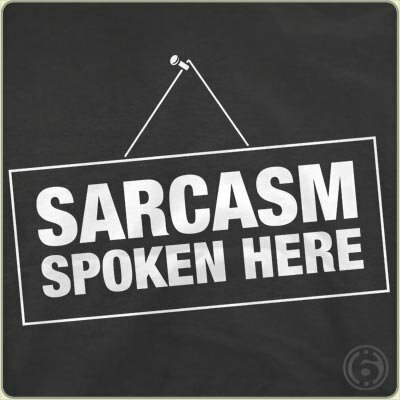 The point is, I can be, am, and enjoy good sarcasm. Sarcasm has a way of making a point that otherwise would not be heard. This is why I enjoyed reading this sarcastic article so much. While it is a bit lengthy it is well worth your time. really good article-thanks! (you married into a good, sarcastic family of course).